In response to Icahn telling Bloomberg he neither likes nor respects the Pershing Square founder, Bill Ackman got a couple important points of his chest last night, the first being that the feeling&apos;s mutual, the second just a little bit of Wall Street trivia: you can tell Carl Icahn is lying if his lips are moving. "On March 1, 2003, on behalf of my former fund, Gotham Partners, I entered into a contract with Carl Icahn , signed by him, to sell him a 15% stake in Hallwood Realty Partners. He paid my investors $80 per share and agreed to what he called "schmuck insurance." The agreement provided that he would pay my investors an earnout equal to 50% of his profit on Hallwood after he received a 10% annual return if he "sold or otherwise transferred" his shares for value within three years. Fewer than 13 months later on April 14, 2004, HRPT Property Trust acquired Hallwood. As a result, Carl and the other Hallwood shareholders received $136.16 per share in cash for their shares. Under the terms of our agreement, Carl owed my investors about $4.5 million. He refused to pay. I was forced to sue him on behalf of my investors. On September 6, 2005, the court awarded us summary judgment and found the agreement to be "clear and unambiguous." He again refused to pay and appealed. We won on appeal and Carl was forced to post a bond for what he owed us and appealed again. In general, Carl waited to the last few days to appeal in order to delay the inevitable. After eight years and Carl&apos;s appeals of the judgment were denied, in 2011 the Court forced Carl to pay my investors the $4.5 million they were owed plus 9% interest per year from the date of the sale. After Carl paid my investors, he called me up, congratulated me on winning, and said that he wanted to be my friend. I told him that I had no interest in being his friend. 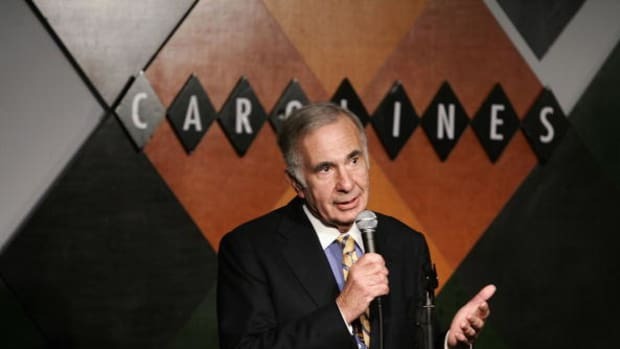 Carl Icahn is a great investor, but, in my experience, he does not keep his word."